Not surprisingly, I am in love with the written word. I love the power of the pen on the page to move, amuse, anger, or delight. The power to take us places we’ve never been before. The power to take us back to times and places we have come from. Fiction, nonfiction such as biographies and creative nonfiction, memoirs, and essays have always had their devoted followers. Poetry is now also finding its way further into the mainstream … and even into the commercial realm as well. In an ad last year for the Apple iPad Air, we heard Robin William’s voice in his portrayal of John Keating, the beloved English teacher in the U.S. film Dead Poets Society. What can we do to change this trend? We march. We show up at airports. We boycott. We call and write and demand accountability from our legislators. We write to shine a light … and we are making a difference. Don’t let the drumbeat of dystopia dampen your passion for justice. As Carmel tells us, this book is fuel for the fire in our bellies. Sam Hamill, revolutionary poet and scholar, co-founder of Poets again the War to protest the conflict in Iraq, is our featured advisor in “Refugees and the Displaced,” and we are fortunate to include three poems from his book, Habitation. John Keating wanted his students to experience poetry with a different perspective of authentic knowledge and feelings. In our “Refugees and the Displaced” issue of DoveTales, the winners of our Young Writers Contest share this authenticity and power in their poetry. I don’t know if you remember me, / but this is my apology. / … I remember that I never saw you, / I only saw your hijab. In poets such as Sam Hamill, Lisa Zou, and Lydia Chew – and, indeed, in writers of all stripes – we find the compassionate, empathetic members of the human race John Keating describes in Dead Poets Society. We find knowledge, and authenticity, and power. We find fuel for the fire in our bellies. And the powerful play goes on. 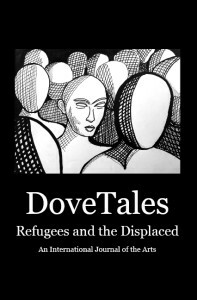 The fifth edition of our annual literary journal, DoveTales, An International Journal of the Arts, is now available. Our “Refugees and the Displaced” themed DoveTales is a timely affront to a status quo comfortable with the suffering of others. With contributors from every continent on the planet except Antarctica (we’re working on that), this is a book that is meant to challenge assumptions and explore issues of peace, social justice, and our responsibility to our fellow man. Cover art is by Canadian artist, Allen Forrest. Purchase your copy here, or find all our books at the Denver Lighthouse Writers Litfest! 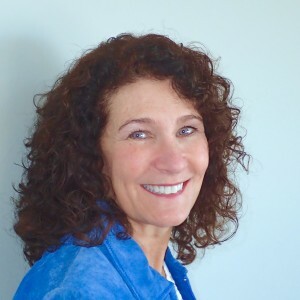 This entry was posted in Activism, Andrea W. Doray, Board Contributors, Immigration, Nonviolent Resistance, Refugees and tagged President, Refugees, Refugees and the Displaced. Bookmark the permalink.